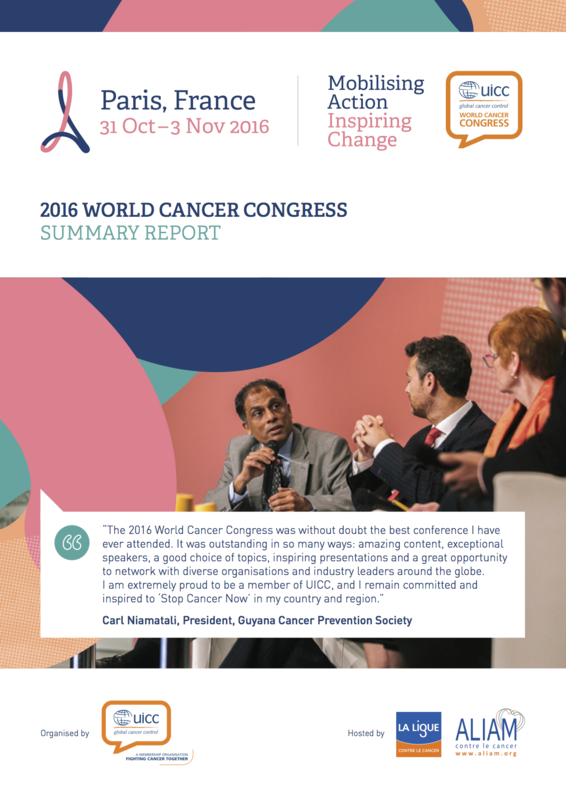 For the past few years, we referred to the World Cancer Congress as an emerging success story in the global cancer control space. In 2016, we realised that wasn’t entirely true. The Congress was awarded ‘Best Conference Development’ at the 2016 International & European Associations Awards in April. In November 2016 in Paris, it mobilised 3,260 registered participants from 139 countries (a 20% increase from the 2014 Congress), engaged 500 renowned speakers who shared their unique know-how across 144 multidisciplinary sessions, and generated 50 million tweet impressions in only three days (28 million in 2014). 40 sponsors and 57 organisations in the Global Village (48 exhibitors in 2014) actively supported the event. Overall, there was a 16% increase in attendance by UICC membership.